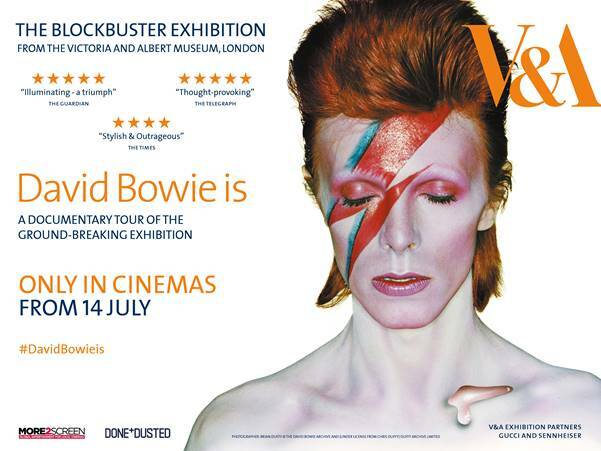 David Bowie Is will be shown for one day only in Vue cinemas and selected venues across the UK. The Victoria and Albert Museum have announced the re-release of their David Bowie is documentary. The film - which celebrates the making of the V&A's ground-breaking David Bowie exhibition - will be available to watch in UK cinemas on 14 July 2016. Filmed on the closing night of the exhibition in 2013, the Hamish Hamilton-directed piece includes speeches from the likes of legendary fashion designer Kansai Yamamoto, Pulp frontman Jarvis Cocker and exhibition curators Victoria Broackes and Geoffrey Marsh. Speaking about the latest release, Broackes and Marsh said: “We were deeply saddened to hear of the death of David Bowie. His far-reaching influence on cultural life is unparalleled and the film offers illuminating detail about key objects from the David Bowie Archive with commentary from special guest contributors and a fantastic soundtrack." David Bowie is will be available to watch in Vue cinemas and selected venues across the UK.